All articles must be submitted by Tuesday of the current week and will be printed subject to availability. We are a Christian Community brought together by the belief that Jesus is Lord. We are called to share in His mission to bring about the Kingdom of God in our midst by proclaiming the Good News of Jesus in word and deed. To build a Catholic Faith Community where all are welcome, loved, needed and appreciated. To celebrate God's gift to life together in Words and Sacraments through service and prayer. To recognize the individuality and to enhance the dignity of every person by providing a nurturing faith and personal environment for growth in every state and stage of life. To recognize and affirm the gifts and talents of one another while promoting the ideals of ministry. 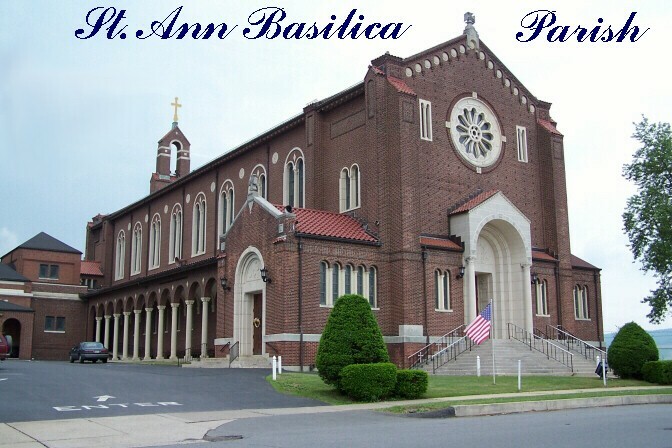 To recognize that the growth and development of the Parish is the responsibility of the entire community. To seek and promise justice, peace and equality by continually relating the Gospel message for social concerns. We make this pledge in confidence that the Lord will assist us and bless us as we strive to realize this vision. Newcomers are invited to join our Parish Family. An "Active Member" is defined as a registered parishioner who attends mass regularly and uses envelopes. Only active parishioners can qualify as Godparents or Sponsors.